Finally, I have found every single item in Adventure Bar Story. The last item I found is Jormungand - Secret Catalog Equipment 25. I totally missed it when I went to the zone ??? previously. The first time I went there, I found a secret path near the exit, and assumed that's the only secret path in this zone. Why did I do that? Thanks to Misto Soup. It made things so much easier looking for a hidden path in a mini maze. Here's a picture of part of the zone ???. There are some more secret paths in this game. I will keep them coming. :D Have fun! Hello Enna! It's me, the anonymous person who asked you about the queen. :) I'm curious of the two portals, yellow and blue. The Blue portal asked me if I want to go back to the World Map. The yellow portal says that I'm not yet ready... What do I do to make the portal teleport me where it is suppose to? oh, thanks. Bosses... You mean the bosses that you can fight through the stone you broke with your pick axe? If yes, already did. Except in fire island. I'm not really sure if there is a boss through the stone. But still, it's hard for me to tell which bosses you are missing. You'll have to find out yourself from your secret catalog. I can then try and work out how to find them. Jormungand is found in the map ???. 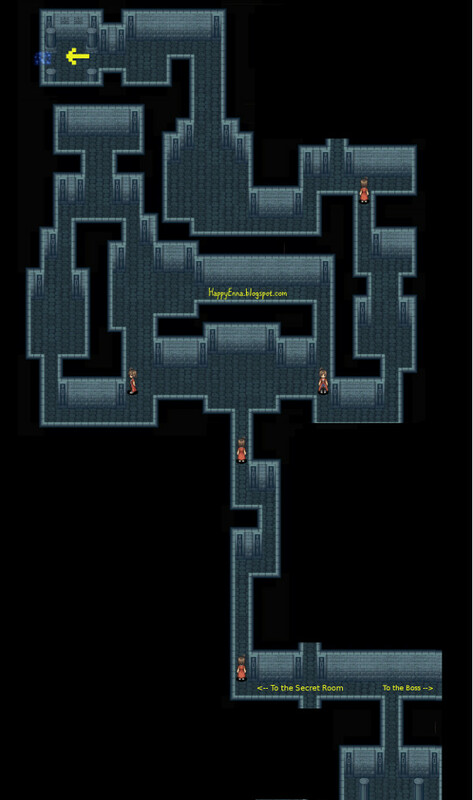 Once you go inside the map, try and reach the big yellow arrow on the top left corner of the picture above. Once you enter, it should be pretty obvious where it is. Hey Enna, where did you manage to find the Cloudis and the Tathlum? Hey i got golden box now what have to i do how can i unlock ??? I have "finished" the storyline,except the Jormungand part, because the ??? map is so exhausting and i got lost to get out and my characters couldnt survive from the monsters lol.. then after i got out there, i keep continue Siela's bar and hunt monsters. i also visit Elias everyday at the wizard school and oneday he asked Siela to help him find the ingredients of "water of zero" if im not mistaken, i forget the name. the materials consist of 3 ingredients that i forget the names , but if im not mistaken, one of them could find at "somewhere cave" and elias asked siela to let him join the party. your blog is the most complete guide, but i couldnt find about this. would you like to tell me about this thing?